Construction is a valid and important part of our economy and way of life. However, without adequate standards this type of activity can have serious direct and indirect consequences for human health and the environment. The construction industry is a major source of pollution, responsible for fine particulate emissions, substantial water pollution incidents, and thousands of noise complaints every year. Although construction activities also pollute the soil, the main areas of concern are: air, water and noise pollution. All construction sites generate high levels of dust (typically from concrete, cement, wood, stone, silica) and this can carry for large distances over a long period of time. Construction dust is known as particulate matter (PM); it is generally less than 10 microns in diameter and is invisible to the naked eye. Research has shown that PM penetrate deeply into the lungs and cause a wide range of health problems including respiratory illness, asthma, bronchitis and even cancer. Another major source of PM on construction sites comes from the diesel engine exhausts of vehicles and heavy equipment. This is known as diesel particulate matter (DPM) and consists of soot, sulphates and silicates, all of which readily combine with other toxins in the atmosphere, increasing the health risks of particle inhalation. Diesel is also responsible for emissions of carbon monoxide, hydrocarbons, nitrogen oxides and carbon dioxide. Noxious vapors from oils, glues, thinners, paints, treated woods, plastics, cleaners and other hazardous chemicals that are widely used on construction sites, also contribute to air pollution. When land is cleared it causes soil erosion that leads to silt-bearing run-off and sediment pollution. Silt and soil that runs into natural waterways turns them turbid, which restricts sunlight filtration and destroys aquatic life. Surface water run-off also carries other pollutants from the site, such as diesel and oil, toxic chemicals, and building materials like cement. When these substances get into waterways they impair water quality and thus the life-cycles of any animal or plant that drinks from them. Pollutants on construction sites can also soak into the groundwater, a source of human drinking water. Once contaminated, groundwater is much more difficult to treat than surface water. Construction sites produce a lot of noise, mainly from vehicles, heavy equipment and machinery. Excessive noise is not only annoying and distracting, but can lead to hearing loss, high blood pressure, sleep disturbance and extreme stress. Research has also shown that high noise levels disturb the natural cycles of animals and reduces their usable habitat, and therefore can threaten Pennsylvania’ fine tradition of hunting and fishing. To prevent erosion and run-off, minimize land disturbance and leave maximum vegetation cover. Cover up and protect all drains on site to prevent contamination of waterways. No burning or disposal of materials on site. We’ve been monitoring and collecting data on dirty construction operations (check out our videos under “Resources” for some documentation) and it’s clear that we need some major improvements in many retention ponds, silt fences and other best management practices. Even those practices that meet regulations contribute large amounts of sediment, and increase erosion and downstream property damage from stormwater flows. There are techniques that make greater use of mulch, added to ponds and around silt fences, to catch the sediment, hydrocarbons, and phosphorous originating from development sites. We promote strong best management practices that protect water quality and enforce violations on the many sites contributing pollution to the Susquehanna and Chesapeake Bay. Our role in assuring compliance is especially important with the pollution limits imposed by the Chesapeake Bay Total Maximum Daily Load (Bay TMDL), which caps the amount of sediment Pennsylvania is legally allowed to discharge via the Susquehanna River to the Chesapeake Bay. Check out what we are doing to preserve our local waterways – and thus indirectly the Chesapeake Bay – by participating in strong implementation of the Bay TMDL. While traditional construction requires various permits under state law, a new source of construction pollution comes from the rapid onset of shale gas drilling in Pennsylvania, entailing clearing thousands of well-sites to just under 5 acres. Five acres is the minimum limit that, once reached, triggers extensive environmental review under federal law. In PA there is a vast discrepancy between the environmental protection standards applied to sub-5 acre construction and over 5-acre construction. We watch, comment, and challenge this type of construction when necessary. 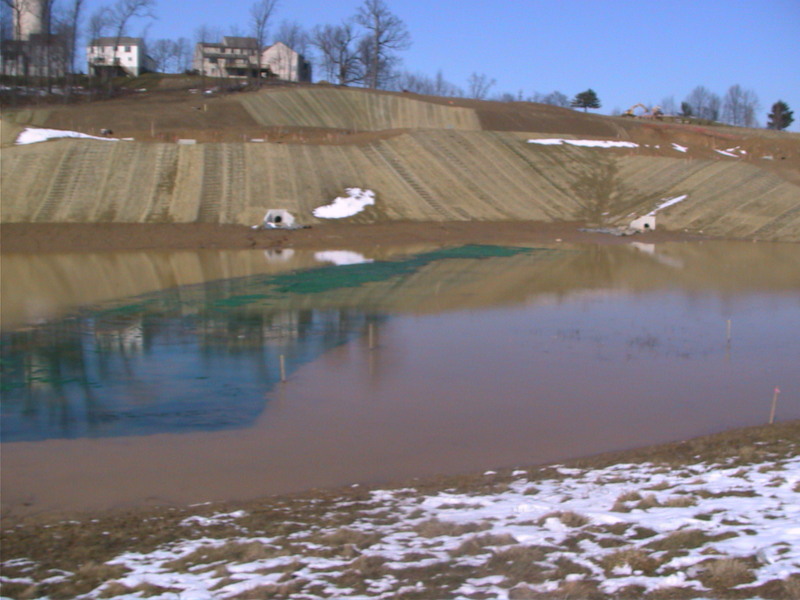 We also work with Dauphin, Lancaster, Perry, Union, and York County Conservation Districts to enforce Erosion and Sediment plans on construction sites. We will work in other counties in the Lower Susquehanna, but do not yet have direct relationships with these. Please continue to report sites of concern to us! Successful effort to maintain green space, at least so far. Construction has not yet started. We continue to review the proposed uses of this open space along the Codorus Creek. This development is potentially an excellent example of redevelopment of brownfield sites. We are particularly interested in maintaining a 30-foot greenway along Codorus in York City redevelopment project.